South Boulder, also known as SoBo, is the southwest neighborhood located between Table Mesa and Broadway. Houses here border the foothills and sit in the shadow of South Boulder Peak. South Boulder is one of the most desirable neighborhoods for families with children, mainly because of the great schools, the easy access to the Skip bus line and US 36, connecting Boulder and Denver. In addition, it provides more affordable living in comparison to other areas such as Central and North Boulder. With a variety of local shops, eateries and breweries to chose from, the South Boulder shopping district can provide you with the convenience of not having to seek such accommodations by having to go through Central Boulder. Love the outdoors? 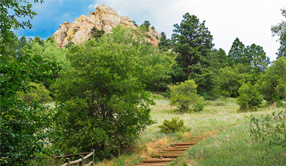 South Boulder is your gateway to beautiful Chautauqua trails as well as Eldorado Canyon, Clear Creek Canyon and I-70.